We all have that favorite clothing piece in our wardrobes that we repeatedly use no matter the situation. No matter how many times we've used it, the piece just makes us giddy! Don't get me wrong, I'm also guilty of this. I have a few pieces that I repeatedly wear over and over and as of the moment, I don't even go out that often! But what I'm trying to say is, there are a bunch of essentials that a girl should invest on as these pieces are classic and timeless. 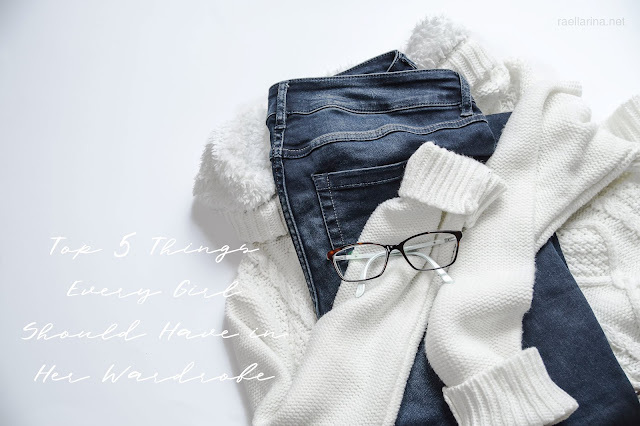 These will be your go-to pieces for those days wherein you're lazy to dress up but still want to look decent and put together. Top of the list is the ever-reliable perfect white shirt. This is such a classic piece as you can wear this repeatedly without being judged that you repeat clothes! Truth be told, I own like a humongous amount of white shirts because this piece is so sleek and neat that you can match it with anything under the sun. You can mix and match it with almost anything and be stylish. Plus, it's so comfy, making it perfect for the Philippine weather. Another piece that should be owned by every girl is a stylish plain top. Could be something like an off-shoulder piece or a cold-shoulder or anything that has an intricate cut or detail that is comfy enough to wear! I mean, a top that could be worn during the hot and the cold weather, bringing balance, comfort, and style in your life without trying too hard when dressing up. Find your own perfect women's fashion tops and flaunt it with confidence! Luvyle offers a wide range of stylish tops that looks comfy as well. You might want to check them out if you still haven't found your perfect top! The one on the photo above is from them. If you happen to find that pair of a great fitting jeans, then don't let it go and invest in it. I actually have a love-hate relationship when it comes to jeans because it's always difficult for me to find a pair that actually fits right. Like, if it fits well on my small waist, it would be too short. And if the length is perfect, the waist would be too big. I grew up with that with jeans so I really never loved wearing them before. But lo and behold, high waist jeans are my go-to pair now. I guess what I'm trying to point out is, find that perfect pair of jeans and that comfy top and you can be stylish, always. You must think I'm crazy that I am putting a women trench coat in the list, knowing that I live in a tropical country. But as you can see, trench coats are also great for layering, aside from the fact that yes, they do keep you warm. 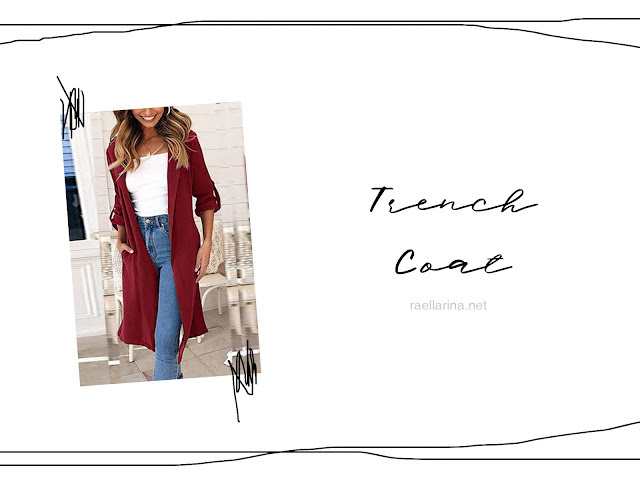 But since we have a rainy season here, it would be great to invest in a trench coat since there are so many great designs and styles out in the market! And surely, you'll be able to find a piece that would suit the warm and cool weather. 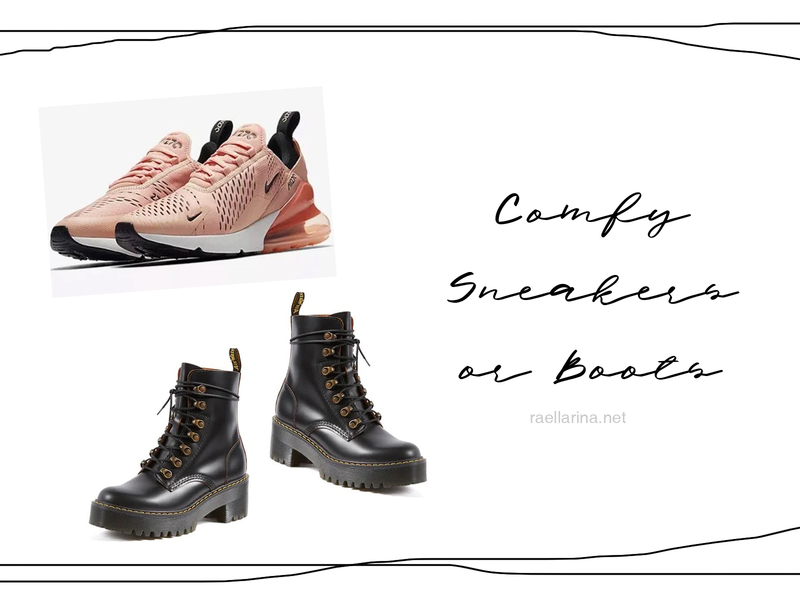 Sneaker head or not, you should invest in a good comfy pair of sneakers. Same goes with boots, even if you're not a boots kind of person, you should invest in a pair. But I guess you can either invest on both or invest on one of them. Because nothing beats the comfort it gives. You can totally do any activity with it! Plus the vibe it gives is actually carefree and cool. So there you have it. That's my list of the top 5 things every girl should have in her wardrobe. Do you have everything on this list? yep i tottaly agree with everyhting! i just think you missed two things: a nice small black dress and a nice black bag! Hi! Oh yeah, that's so true! I guess this shouldn't be 5 things only haha. Could have been 7! I agree with all of these. 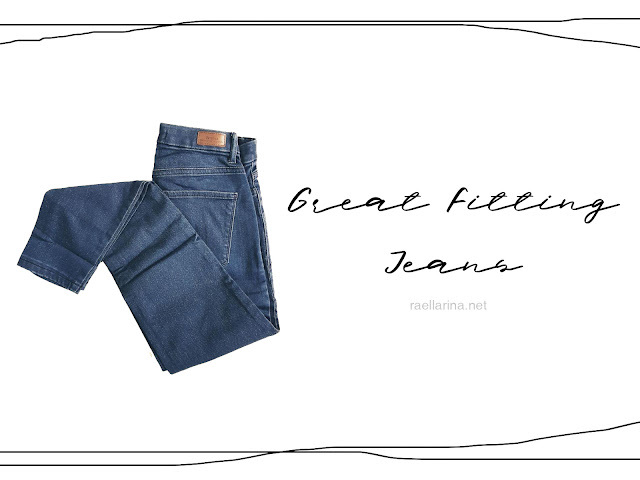 They are great basics for any closet. I like your list of items to have in the closet, Rae. I think JEANS is a good one too. That's my main wardrobe in the Fall and Winter. Enjoy the rest of the October days. I can't believe it's almost November!